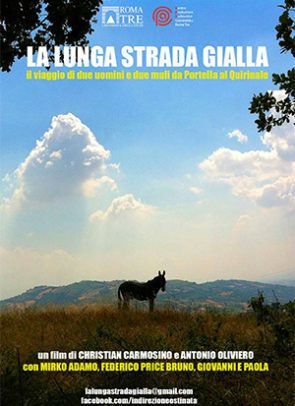 Federico and Mirko, two young palermitains, decide to travel from Portella delle Ginestre riding their mules, Giovanni and Paola, with the objective to reach the Quirinale and bring their message of ecology and social justice. A trip of over 1.200 km, in which the two protagonists meet shepherds, farmers, fishermen and many common people. In the search of their identity, of the contact with a rural world that seems now disappeared, but above all looking for discovering so many people that testify the vitality of a territory, the Southern Italy, disheartened by crime and by the blindness of progress, incapable to assimilate the traditions and the human values.